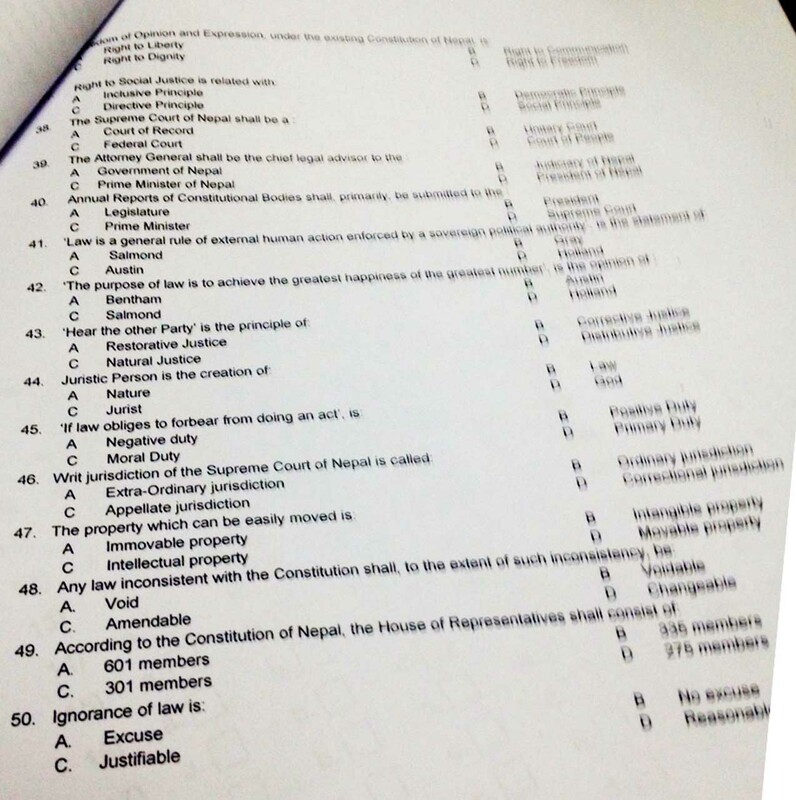 If you’re looking for LLB Entrance exam questions, Dotnepalpresents you with the questions asked in 2075. The questions will certainly be beneficial for upcoming entrance exams of LLB. LLB stands for The Bachelor of Laws (English), Legum Baccalaureus (Latin) is also written as (LL.B. or B.L) an undergraduate degree in law. Legum Baccalaureus means Bachelor of Laws. Generally we understand it as “Bachelor of Laws”. -Be aware of the rights and duties of a citizen. -Help in establishing Good Governance. -Respect the Court, laws, rule of law and follow civic code. -Become a ethical and moral person. -Make a difference through law reform.